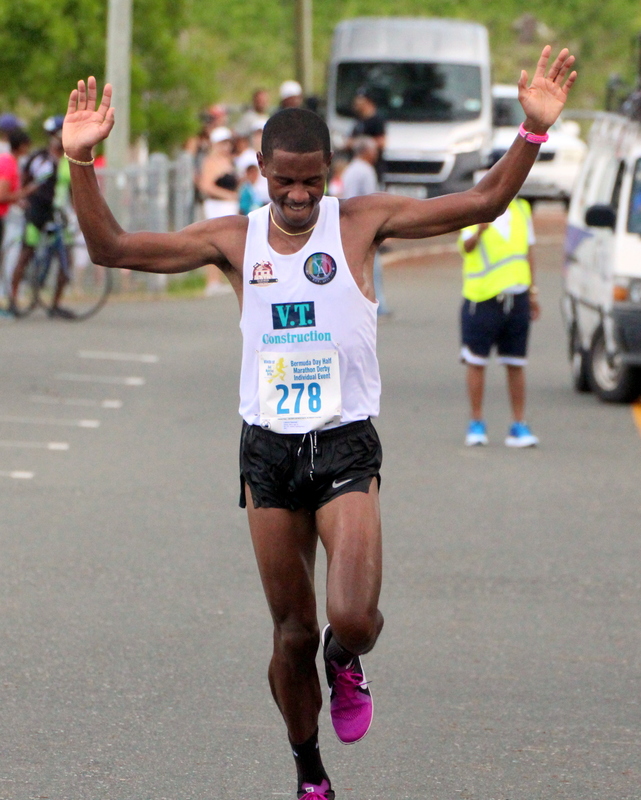 Lamont Marshall and Nikki Butterfield are the 2018 Bermuda Day Half Marathon Debry Male and Female Champions. Marshall was clocked in a time of 1:14:41, missing out on his personal challenge of running under the 1:10 minute mark, Sean Trott was second in a time of 1:19:08, and Seamus fearon round out the podium clocking 1:20.40. Butterfield running the race for a second time, finishing 22nd overall with a time of 1:33.20, Butterfield was followed across the line by Christine Dailey who was 27th overall clocking 1:234:07 and Martina Olcheski-Bell was the third female finisher and 30th overall with a time of 1:35:12.